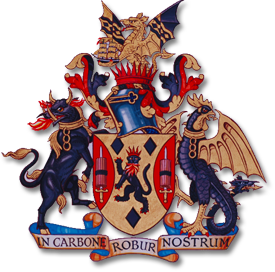 I am delighted to have been invited to this impressive building by the Worshipful Company of Fuellers to give the 14thannual Ezra Memorial Lecture on the subject of energy in the City. Lord Derek Ezra made a major contribution to energy policy in Britain as Chairman of the National Coal Board during the 1970s and later as an energy expert in the House of Lords until 2015. I had some trepidation in accepting the invitation to speak as I am not an expert on energy. However, I did accept, as I consider that I can add to the future debate on energy by providing a more rounded perspective on the future City from my position as the Chairman of the City Corporation’s Planning and Transportation Committee. The City Corporation’s Planning and Transportation Committee is responsible for taking the lead in preparing plans and strategies for the future development of the City. I will seek to outline the City Corporation’s vision of how the City can and should change to remain a leading international financial and business centre as part of London’s offer as one of the few truly global cities. Part of this vision is the need for a progressive energy policy and actions to reduce the use of carbon for fuel in order to address important global and local issues such as climate change, flood risk and poor air quality in cities. Before focussing on energy and the challenges facing the future City it is worth re-stating some of the City’s existing strengths which provide a strong foundation for future change. The City is at the heart of a dense cluster of financial and business services that serves the world market and contributes 14% of London’s GDP. It is well served by an extensive public transport network that will in 2019 be boosted by the opening of the Elizabeth Line. This network means over 24,000 City-based enterprises are within reach of a regional population of over 20 million. They can come by sustainable public transport to work or to enjoy the rich culture and heritage which the City offers. Once arrived in the City, they can mix with over 480,000 of the brightest people,benefit from the economies of scale and scope which City businesses enjoy and can drive forward business competitiveness and innovation for which the City is renowned. These existing strengths will continue, but we will need to meet new challenges to be ready for changing workstyles and lifestyles in the 21stcentury. These new challenges will include having and implementing a progressive energy policy. When considering the future of the City it is important to recognise the international dimension. The City is not in competition with other parts of London such as Canary Wharf or the West End. We are each complementary parts of London’s total offer that helps us compete on the world stage with New York, Shanghai and Singapore. We must compare ourselves with other global centres for finance and business to understand the factors that make us attractive, competitive, adaptable and resilient. We need to focus on enhancing the City’s capacity, the City’s connectivity and the City’s character while making the most of new technology to bring about smart innovation and change which attracts a broad occupier profile. Energy capacity, energy connectivity and energy resilience are essential parts of the infrastructure mix which supports a successful City. Ensuring that the City has a progressive energy stance, based on low or zero carbon energy, will improve resilience and will also help attract socially responsible footloose companies and people to London who are seeking a city with good energy and carbon credentials and good prospects for sustainable growth. The starting point for establishing a progressive energy stance is the recognition that the climate of the world is changing and that we need to act to reduce the extent of that change and to mitigate some of its unavoidable effects. After years of debate there is a scientific consensus that human actions, such as the burning of fossil fuels for energy, have contributed to increasing greenhouse gases, ice-shelf melting and the climate change trends of recent decades. Recent high-profile weather events, such as summer heatwaves and fierce storms, have been consistent with climate change modelling though inevitably there is great volatility in the world’s weather and it is difficult to distinguish between short-term freak weather and longer-term climate change. However, if human actions have contributed to the climate change problem, then it is right that human actions should contribute to the solution. In energy terms this comes down to avoiding where possible the burning of fossil fuels, reducing both the carbon dioxide gas emissions and the pollution impacts of the City’s energy requirements as part of the ‘decarbonisation’ of energy supply and use. The City’s one square mile cannot address climate change on its own and we all have a part to play at our personal, city, national and international levels. At the highest level the Intergovernmental Panel on Climate Change has provided a focus and the United Nations-sponsored Paris Agreement of 2015 demonstrates a commitment to address the issue of greenhouse gas emissions through cooperative action by 180 governments in the world. The UK Government ratified the agreement in 2016 and is playing its part through its UK Clean Growth Strategy which is sub-titled ‘Leading the Way to a Low Carbon Future’. The UK Clean Growth Strategy sets out a change in Government emphasis compared with previous climate action plans, since it stresses that future growth must be clean growth which is based on low carbon, resource efficient policies. The UK’s National Planning Policy Framework published in July 2018 provides further planning policy guidance on how a low carbon future will be central to a sustainable development and growth strategy. London’s scale as a global city of over 8 million people creates a huge energy demand which peaks in the densely developed centre such as in the City. This dense pattern creates energy supply challenges but also opportunities if supply and demand can be managed in smarter more sustainable ways. Successive Mayors of London have seen tackling climate change as an important strategic issue. Strategic guidance in the Mayor Sadiq Khan’s London Environment Strategy produced in 2018 includes ambitious targets to make London a ‘zero carbon’ city by 2050. The City Corporation wished to understand better what Mayor Khan’s strategic target might mean for the City of London and so earlier this year commissioned the consultant Aecom to provide an overview of the current energy situation, recent trends and possible scenarios that might be pursued to achieve a zero carbon City by 2050. I wish to share some of their findings with you to provide a local context for the policy choices we might make. The City current energy context is shown in the slide. The City’s total energy consumption was 2,845 GWh in 2015. This total was similar to an adjacent borough such as Hackney, but the density of the City’s built environment means that the City’s energy demand is very concentrated in just one square mile. Not surprisingly the City’s strong business role means that over 90% of energy demand comes from City businesses, with road transport fuel making up 7% and residential demand being just 2%. Over 65% of all energy consumption is in the form of electricity, with gas making up 25% and petrol 8%. These figures are significant because they show that the electricity demands of City businesses are dominant and therefore changing the way that City businesses source and use electricity will be key to creating a more progressive energy context for the City. Another slide in the Aecom report shows that City businesses are not complacent and have already been reducing their energy consumption in recent years. Commercial buildings have reduced their energy consumption by a quarter since 2005 in response to market forces, environmental pressures and the need to manage business costs. I also think the planning system and the development industry can claim some of the credit as the replacement of some older buildings by greener, smarter new ones has made it easier for City occupiers to ‘go green’. Turning to the future, the Aecom report was asked to consider potential scenarios to achieve a zero carbon City by 2050. I do not wish to go into scenario details at this moment but do wish to make the point that there is a range of potential scenarios which will get us closer to the target of a zero carbon City by 2050. The report statedthat if we do nothing then carbon emissions will continue to rise with all the adverse consequences that entails. However, we can choose to make changes to our energy use which will benefit us long term. If we choose to make significant changes quickly then the climate change benefits will arrive sooner. If we act more slowly, then the climate change benefits will take longer to take effect. I said before that over 65% of all energy consumption in the City is consumed in the form of electricity. This means that a very efficient way of improving our energy position nationally and locally is through electricity grid ‘decarbonisation’. This has already been happening as the electricity National Grid has been reducing its reliance on burning fossil fuels and increasing its use of renewables to generate electricity. This in part explains the fall in the City’s carbon dioxide emissions since 2005 shown as a blue line on the graph. Further electricity grid ‘decarbonisation’ is estimated to be most effective way of improving our energy position in the City. The Aecom report estimated that such grid decarbonisation could reduce emissions by 76% compared to the 2015 baseline. Therefore, the City Corporation and all City owners and occupiers should strongly support further measures to ‘decarbonise’ the National Grid. The Aecom report also estimated the likely effect of local measures to reduce the City’s carbon emissions. Such measures included use of local heat networks that use local heat pumps, replacement of gas boilers with heat pumps, refurbishment of the existing building stock, behavioural changes to reduce energy consumption, greater use of low carbon vehicles and transport management measures. None is these measures was considered likely to reduce the City’s carbon emissions by more than 20% on its own but collectively they could still make a significant difference so are well worth investigating further. So far in this talk I have outlined the City’s current economic and energy circumstances to provide a context for future change. I would now like to consider what the City Corporation has been doing to set out the future agenda for the City as a whole, and then to show how the City Corporation intends to lead by example. The starting point for the City Corporation’s agenda for the future is its Corporate Plan for the next five years 2018-2023. This Corporate Plan has inter-related aims of contributing to a flourishing society, supporting a thriving economy and shaping outstanding environments. The high-level aim of shaping outstanding environments is supported by commitments to creating a City which has clean air, land and water and a thriving and sustainable natural environment. Such ambitions may prove challenging, but they are necessary to drive us onward in the right direction. It is also undeniable that a more progressive approach to energy in the City will make a major contribution to the City becoming a cleaner, greener, more resilient and more sustainable place. The Corporate Plan is supported by a wide range of complementary strategies, plans and commitments which I do not propose to cover in detail tonight. However, I do wish to refer to our recently adopted. Responsible Business Strategy 2018-2023 which sets out how the City Corporation will behave, because it is the right thing to do, and because it will take us towards a more sustainable future. Our Responsible Business Strategy has a high-level outcome of a healthier planet with related priority actions including improving air quality and addressing climate change. A more progressive approach to energy in the City will have major benefits for air quality and for climate change mitigation. As Chairman of the Planning and Transportation Committee I must also mention two further documents overseen by that committee which will have an important influence on the City’s built environment, transportation and energy context.We are currently working hard to ensure that the forthcoming revised City Local Plan and new City Transport Strategy will stimulate sustainable growth in the City for the next twenty years. Both documents will be published in draft form for public consultation during the winter of 2018/19 and I encourage you all to respond so that the voices of owners, developers, businesses, workers and residents are considered as our plans are refined. I wish to spend a while outlining the energy-related policies in the revised draft City Local Plan because they will provide a direct way of ensuring that future development in the City meets the highest environmental standards, complements a progressive energy approach and a low carbon economy. The revised Local Plan is not starting from scratch and I am proud of our existing achievements including the commitment that all major new City buildings should achieve a BREEAM sustainability rating of excellent or outstanding. We already require all buildings to minimise carbon emissions, to adopt energy-efficiency measures and to incorporate climate change adaptation measures. Sites near the existing ‘Citigen’ Combined Heating and Power Network in the north west of the City are required to be able to connect to this sustainable low carbon source of heating and cooling. The revised draft City Local Plan goes beyond existing policy to hasten our move towards a low or zero carbon City. All major City developments will have to demonstrate that London Plan carbon emission and air quality requirements have been met on site. Where this is not possible then ‘carbon offsetting’ financial contributions will be required to pay for measures elsewhere such as energy efficiency initiatives or renewable energy generation. All major City developments will also be required to incorporate collective energy infrastructure such as heating and cooling networks, smart grids and collective battery storage wherever possible, to contribute to a zero-emissions, zero-waste, climate resilient City. The revised draft City Local Plan will also include a wide range of other policies that will hasten the trend toward a low carbon City. Transport policies which encourage active travel modes such as walking and cycling over motorised vehicles will help reduce energy consumption. Other transport initiatives such as ultra-low emission zones, electric vehicles and freight consolidation will also help with air quality and carbon reduction aims. Stronger policies for a greener City will also bring energy benefits as a greener City will be cooler in summer and can absorb more rainfall runoff to reduce flood risk. City office buildings often have a high energy demand for air-conditioning in the summer, so passive design measures and green roofs and walls have a part to play in energy conservation. I now wish to move on from our progressive policy context to set out what we have been doing in recent years and what we intend to do to make a difference to the City’s energy situation in the future. One recurring theme has been our work with other partner organisations such as London First, the GLA and the City Property Association to engage with the Government, Ofgem and UK Power Networks to bring about timely and more strategic investment in network capacity and substation reinforcement to avoid delays in serving new property developments, and greater network resilience for City businesses. Some large City buildings have electricity requirements of over 15 Mega Watts, enough to power a small town. In practice they do not need all that power, but they tend to over-specify and reserve their access to such power so that they have room for expansion without delays. The computer-based, high frequency trading operations found in the City need reliable power and so many large buildings have diesel-powered backup generators to support critical business operations if the electricity grid were to go down. Such resilience planning is understandable but is not good for air quality or sustainability credentials. Therefore, the City Corporation is keen to explore ways to increase strategic investment ahead of short-term need. It is also exploring opportunities to work with partners to build a smart grid system in the Square Mile which would provide an alternative energy supply to UK Power Networks and that will add greater competition into the energy market using cutting edge low carbon battery storage and smart technology that could allow the purchasing and allocation of energy in real time. Greater use of smart energy grids with potential for energy load-sharing is particularly relevant for the City where demand is heightened by the concentration of sophisticated computer-based trading systems. Alternative energy networks are not new in the City as we have had the ‘Citigen’ Combined Heat and Power System operating from Smithfield since the 1990s. This comprises a small power station generating electricity, heat and cooling near Smithfield Market, an underground pipe network supplying hot and chilled water to 19 customers which is about 2.5 kilometres long. The network was originally started in the early 1990s from an idea proposed by the City Corporation itself. It’s been something of a well-kept secret, with the power station built behind the retained façade of a former meat store, which you can see in the slide.The system has been financed and developed by a company called Citigen, with whom the City Corporation has a long-term partnership to support and expand the scheme. Citigen are a subsidiary of E.ON (UK) plc, one of the UK’s ‘big six’ energy companies, so the project has strong commercial backing. The combined heat and power engines at the heart of the system are fuelled by natural gas.By capturing heat that would otherwise be wasted, this type of generation is energy-efficient and reduces net carbon emissions to the atmosphere, with the heat and electricity produces being classed as ‘low carbon’. The system also has a large hot water storage vessel for storing heat at times of low demand and re-use overnight when engines are not running. Chilled water for air conditioning and comfort cooling is generated by electric chillers. Connection equipment at the customer’s premises is very simple, comprising a heat exchanger, a heat meter and valves. This offers many advantages, including space saving, reduced maintenance and silent operation. As I mentioned, the energy network served from this plant currently supplies 19 properties as shown on the map. The red and blue lines are the existing hot water and chilled water pipes. This pipe network mostly runs in the City’s subways, car parks and basements. There are twelve City Corporation’s properties which are served including Guildhall, Barbican Centre and Smithfield Market. These form the network’s ‘anchor’ loads. The other 7 properties shaded orange are private customers, including two residential properties. This number is increasing year by year as new customers are added, encouraged by the City’s planning policies. The dashed lines show possible future expansion plans, which could include a kilometre extension to the south of Smithfield, forming a ring which would enhance the system’s resilience and allow new properties like the Old Bailey and St Paul’s Cathedral to be connected. We hope to start a detailed feasibility study for this shortly, with Government funding, to be led by the City Corporation. There is great potential for expansion of this Citigen system and the creation of similar systems elsewhere as the technology offers one answer to one of the most difficult challenges we face: decarbonising the demand for building heating. Another practical project which the City Corporation is pursuing to reduce energy consumption is to update its 12,500 streetlights to LED technology backed by an integrated, flexible digital control system. It is estimated the new lights will bring energy savings of 70%, reduced carbon emissions and lower maintenance costs. The new system will also have a smart capability as the light fittings can include environmental sensors that can their send monitoring data through a radio frequency mesh network. This will improve our understanding of the City and will also be a practical demonstration of how new technology can help address environmental and energy issues. The replacement of petrol and diesel vehicles with electric vehicles in the coming years will significantly reduce city centre air pollution and will also reduce overall carbon emissions provided that vehicle charging is from a decarbonised national grid or other renewable or zero carbon sources. The City Corporation is committed to not buying further diesel operational vehicles where avoidable and is intending to make its entire operational vehicle fleet electric. This will require upgrading of vehicle charging capacity at the Walbrook Wharf base as part of a wider changes to that site. The City Corporation is also improving electric vehicle charging capacity in the City with a focus on off-street charging within existing car parks to provide facilities that do not add to street level congestion. Several practical commitments with energy implications arise from the City Corporation’s contribution to the corporate social responsibility movement in which we look beyond economic impact to consider ways in which our actions create positive social and environmental value. The City Corporation’s new Responsible Business Strategy states our commitment to embedding responsible practices throughout our work to take us towards a sustainable future. As an organisation with private, public, charitable and community sector responsibilities, and significant capabilities and commitments, the City Corporation is well placed to take the lead with responsible business practices across all our activities and spheres of influence. Thirdly, Low Carbon Generation which accelerates the use of low and zero carbon energy generation for supplying the corporate estate. As part of this last work stream, the City Corporation will be procuring 100% renewable electricity across its entire corporate estate from next month. In addition to this ambitious commitment, we will also be investigating the potential for on-site renewable generation. The City Corporation is also investigating the use of renewable electricity power purchase agreements (PPA) which deliver both environmental and economic benefits. This mechanism would enable the City Corporation to invest directly in the acceleration of the renewable economy in the UK and thereby to send a powerful message that the City is acting to secure better energy as part of a more sustainable future. In conclusion, throughout this talk I have offered a more rounded perspective on the future City from my position as the Chairman of the City Corporation’s Planning and Transportation Committee. I hope that I have provided a wider context for a much-needed debate on the future of energy in the City. I hope you agree that the City can and should change, in order to remain a leading international financial and business centre as part of London’s offer as one of the few truly global cities. Part of this change will be progressive energy policy and actions to reduce the use of carbon for fuel and to address the important global and local issues of climate change, flood risk and poor air quality in cities. We all need to act now to address these key concerns. Some current trends are encouraging but we need to do more. The City Corporation has set out a progressive policy context for others to follow and is also leading by example through its responsible business commitments and its progressive energy projects. With the help of those in this room, and beyond, I hope that we can advance a progressive energy policy which will address climate change and bring about sustainable growth and improved quality of life for those who work, live in or visit the City.